ICT stands for information communication technology. There are many definitions of the term which can lead to confusion but it is really quite self-explanatory. Technology that communicates information includes the internet, telecommunications and audio visual systems. Some definitions of ICT stress the integration of such technologies to make life easier not just for businesses but for all of us. Our concern here is ICT for education. There are three main roles for ICT in the classroom. The first is to facilitate learning. Learning becomes faster and easier using such technology as interactive flat screens and tablets. The second is to prepare the pupil for a world where ICT is ubiquitous. ICT skills are vital for both the public and private spheres. The third is to produce ICT experts. People who can set up and maintain complex ICT systems largely for businesses. ICT in education will also help bring about equity and inclusion for people who would previously have had no access to education. Distance learning is much improved by ICT. The student has direct access to his tutor as well as information about his course via the internet. Traditionally, distance learning utilized television and radio. These days, tutorials can be delivered online. Another key term in relation to ICT in the classroom is eLearning. eLearning is often associated with adult learning but this is not always necessarily the case. It is also associated with a theory of learning known as andragogy. Basically, this means a more learner centred experience for the student. ICT facilitates this kind of learning by putting the right technology in the students’ hands so they have even more control over what they learn. Blended learning is also a key term here. It involves a blend of traditional teaching and technological innovations such as the interactive flat screen and iPads or tablets. Blended learning is a synthesis of the old pedagogical model of teaching and teaching facilitated by ICT. A good example is the interactive flat screen. It is traditional in that it replaces the old black/white boards of the past and innovative in that it allows a greater degree of engagement and interaction as well as manipulation of information. 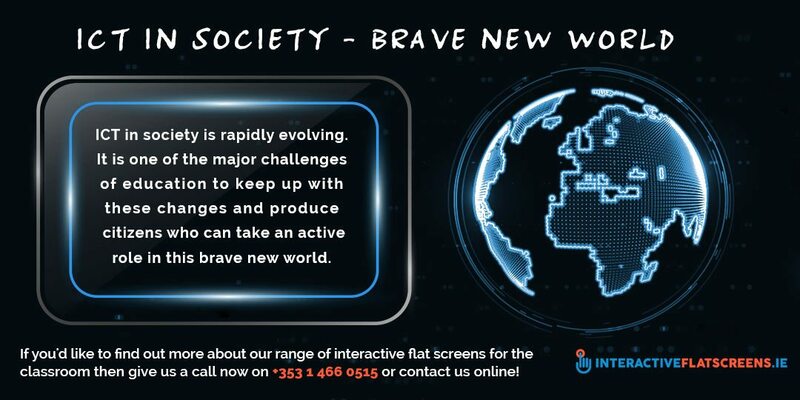 ICT in society is rapidly evolving. It is one of the major challenges of education to keep up with these changes and produce citizens who can take an active role in this brave new world. It is important to begin this at an early age so that the learner will not fear these technological tools and innovations but make the most of them. However, adult learners deserve the chance to prove that they are just as open to learning through and about ICT. Andragogy is an optimistic outlook on adult learning and it needs to be embraced by educators, now more than ever. 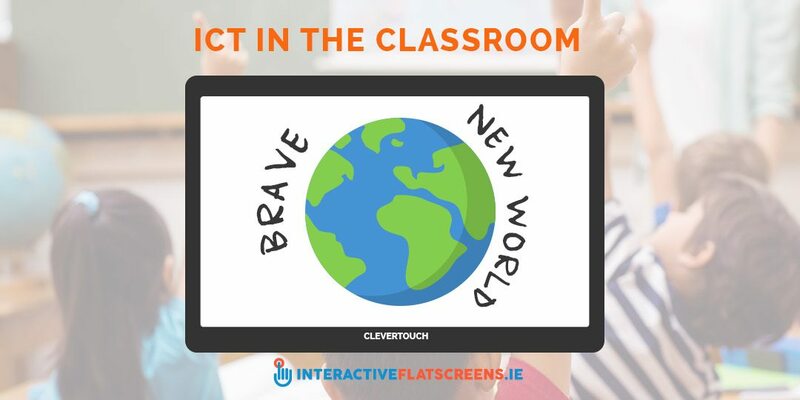 If you’d like to find out more about our Clevertouch range of interactive flat screens then give us a call now on +353 1 466 0515 or contact us online and learn about the brave new world of ICT!